A Room of One's Own welcomes poet GennaRose Nethercott, author of The Lumberjack's Dove, for a special reading and performance! In the ingenious and vividly imagined narrative poem The Lumberjack’s Dove, GennaRose Nethercott describes a lumberjack who cuts his hand off with an axe—however, instead of merely being severed, the hand shapeshifts into a dove. Far from representing just an event of pain and loss in the body, this incident spirals outward to explore countless facets of being human, prompting profound reflections on sacrifice and longing, time and memory, and—finally—considering the act of storytelling itself. Inflected with the uncanny enchantment of modern folklore and animated by the sly shifting of points-of-view, The Lumberjack’s Dove is wise, richly textured poetry from a boundlessly creative new voice. 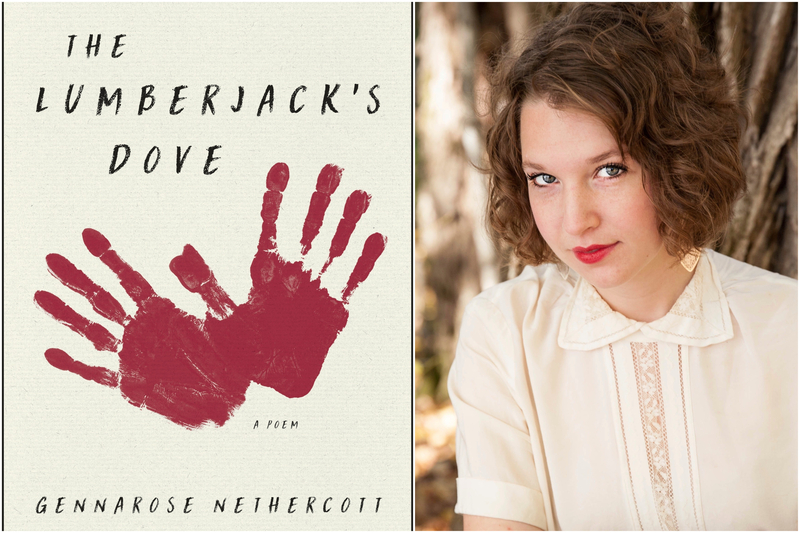 GennaRose Nethercott’s book was selected by Louise Glück as a winner of the National Poetry Series for 2017. She is also the lyricist behind the narrative song collection Modern Ballads, and is a Mass Cultural Council Artist Fellow. Her work has appeared widely in journals and anthologies including BOMB, The Massachusetts Review, The Offing, and PANK, and she has been a writer-in-residence at the Shakespeare & Company bookstore, Art Farm Nebraska, and The Vermont Studio Center, among others. A born Vermonter, she tours nationally and internationally composing poems-to-order for strangers on a 1952 Hermes Rocket typewriter.